Labor Day Souvenir. Embossed color lithograph, part of a popular series celebrating Labor Day. Legend reads, "Service shall with steeled sinews toil, and Labor will refresh itself with hope." 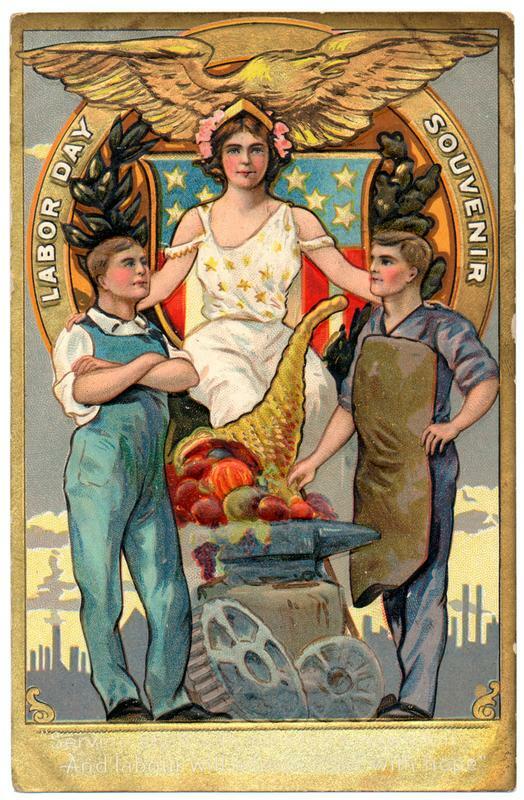 The early American labor movement made prolific use of patriotic images to convey the role of workers in building the country and its democracy.